Seagate - ST3400832AS SEAGATE - BARRACUDA 400GB 7200 RPM SATA HARD DISK DRIVE. 8MB BUFFER 3.5 INCH LOW PROFILE(1.0 INCH) (ST3400832AS). IN STOCK. SHIP SAME DAY. 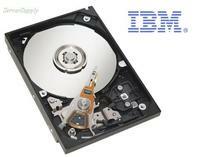 IBM - 39M4570 IBM - 400GB 7200RPM SATA 3.5inch HARD DISK DRIVE (39M4570) FOR DS4000. IN STOCK. SHIP SAME DAY. Western Digital - WD4000YR WESTERN DIGITAL - CAVIAR RE2 400GB 7200 RPM SATA 7PIN HARD DISK DRIVE FOR ENTERPRISE STORAGE. 16MB BUFFER 3.5INCH LOW PROFILE(1.0 INCH). (WD4000YR) IN STOCK. SHIP SAME DAY. 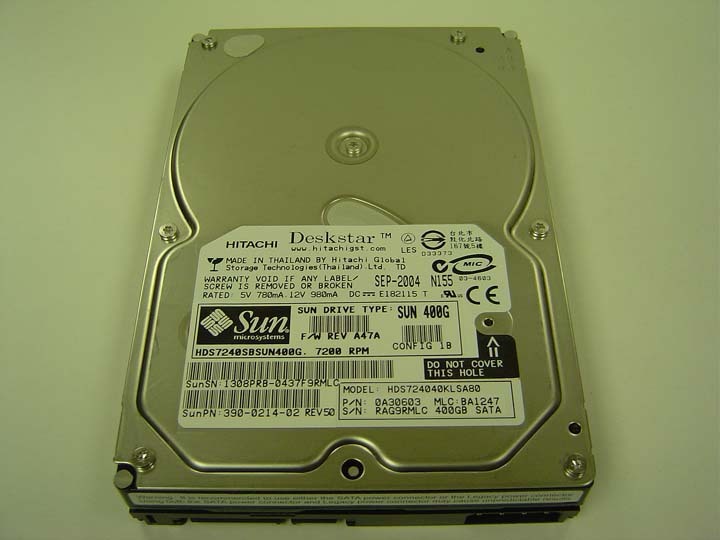 Hitachi - 0A33272 HITACHI - DESKSTAR 400GB 7200RPM 16MB BUFFER SATA-II 7-PIN 3.5INCH HARD DISK DRIVE(0A33272). IN STOCK. SAME DAY SHIPPING. IBM - 39M4574 IBM - 400GB 7200 RPM SATA(150MBITS) 3.5inch HARD DISK DRIVE (39M4574) FOR IBM TOTALSTORAGE DS4000. IN STOCK. SHIP SAME DAY. Hitachi - HDT725040VLA360 HITACHI - 400GB 7200 RPM 16MB BUFFER SATA-II 7-PIN 3.5INCH HARD DISK DRIVE(HDT725040VLA360). IN STOCK. SHIP SAME DAY. IBM - 39M4575 IBM - 400GB 7200RPM SATA(150MBITS) 3.5inch HARD DISK DRIVE(39M4575) FOR IBM TOTALSTORAGE DS4000. IN STOCK. SHIP SAME DAY. Western Digital - WD4000AAJS WESTERN DIGITAL - CAVIAR BLUE 400GB 7200RPM SATA-II 8MB BUFFER 3.5INCH LOW PROFILE (1.0 INCH) HARD DISK DRIVE. WD4000AAJS IN STOCK. SHIP SAME DAY. 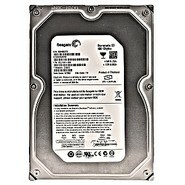 Seagate - ST3400620NS SEAGATE - BARRACUDA 400GB 7200RPM SERIAL ATA (SATA-II) 3.5INCH 1.0INCH HIGH 16MB BUFFER INTERNAL HARD DISK DRIVE (ST3400620NS). IN STOCK. SHIP SAME DAY. 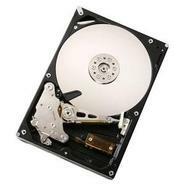 SEAGATE - HARD DRIVE - ST3400832NS SEAGATE - NL35 SERIES 400GB 7200 RPM SATA-I HARD DISK DRIVE. 8MB BUFFER 3.5 INCH LOW PROFILE(1.0 INCH). (ST3400832NS). IN STOCK. 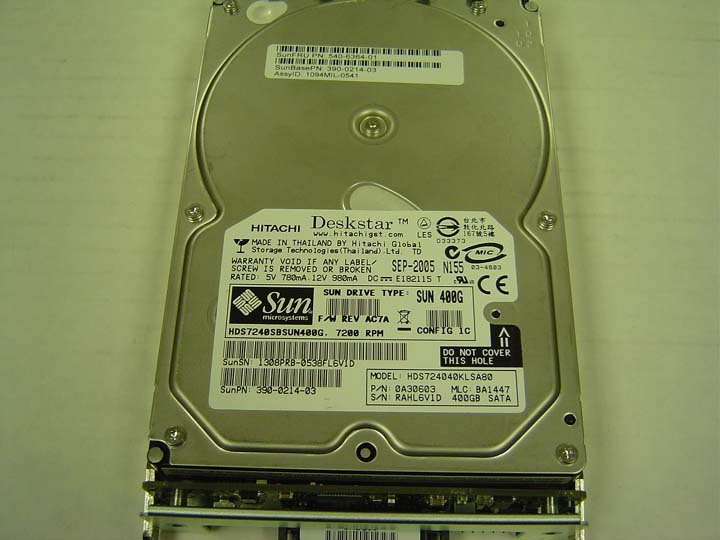 Hitachi - HDS724040KLSA80 HITACHI - DESKSTAR 400GB 7200RPM 8MB BUFFER SATA 7-PIN 3.5INCH HARD DISK DRIVE (HDS724040KLSA80). BRAND NEW. IN STOCK. SAME DAY SHIPPING. Seagate - ST3400820AS SEAGATE - BARRACUDA 400GB 7200RPM SERIAL ATA-300 (SATA-II) 3.5INCH FORM FACTOR 8MB BUFFER INTERNAL HARD DISK DRIVE (ST3400820AS). IN STOCK. SHIP SAME DAY. Samsung - HD403LJ SAMSUNG - SPINPOINT T166 400GB 7200RPM 3.5INCH 16MB BUFFER SATA-II HARD DISK DRIVE.(HD403LJ). IN STOCK.SHIP SAME DAY. 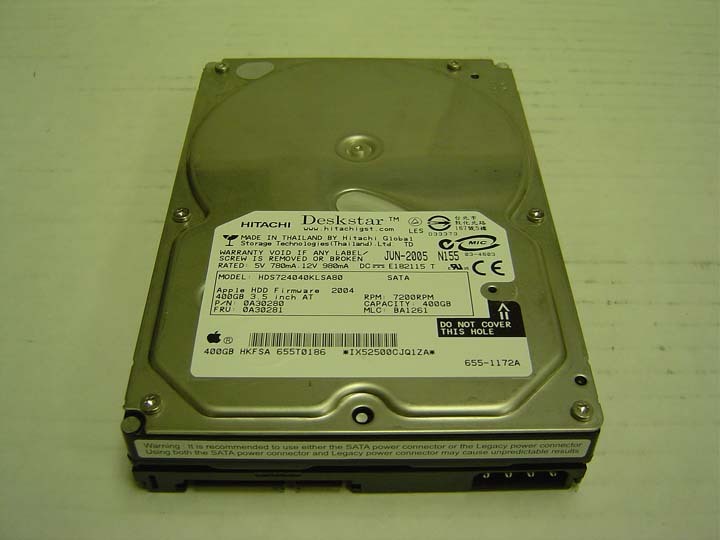 Hitachi - 0A30229 HITACHI - DESKSTAR 400GB 7200RPM 8MB BUFFER SATA 7-PIN 3.5INCH HARD DISK DRIVE (0A30229). IN STOCK. SHIP SAME DAY. 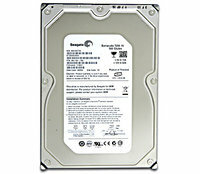 Samsung - HD400LJ SAMSUNG - SPINPOINT T133 400GB 7200RPM 8MB BUFFER SATA-II 3.5INCH HARD DISK DRIVE (HD400LJ). IN STOCK . SHIP SAME DAY. Western Digital - WD4000AAKS WESTERN DIGITAL - CAVIAR BLUE 400GB 7200RPM SATA-II 16MB BUFFER 3.5INCH HARD DRIVE. WD4000AAKS IN STOCK. SHIP SAME DAY. Western Digital - WD4000KS WESTERN DIGITAL - CAVIAR BLUE 400GB 7200RPM SATA-II HARD DISK DRIVE. 16 MB BUFFER 3.5INCH LOW PROFILE. WD4000KS IN STOCK. SHIP SAME DAY. 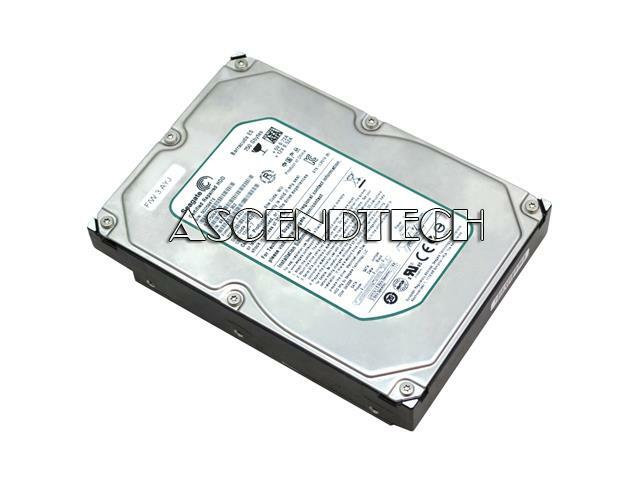 Hitachi - 14R9337 HITACHI - DESKSTAR 400GB 7200RPM 8MB BUFFER SATA 7-pin 3.5INCH HARD DISK DRIVE (14R9337). IN STOCK. SHIP SAME DAY. IBM - 39M0178 IBM - 400GB 7200 RPM SATA(150MBITS) 3.5inch HARD DISK DRIVE (39M0178) FOR IBM TOTALSTORAGE DS4000. IN STOCK. SHIP SAME DAY. IBM - 39M4575 39M4575 IBM 400GB 7.2K RPM SATA 150MBITS 3.5Inch Hard Disk Drive. New Bulk Pack. 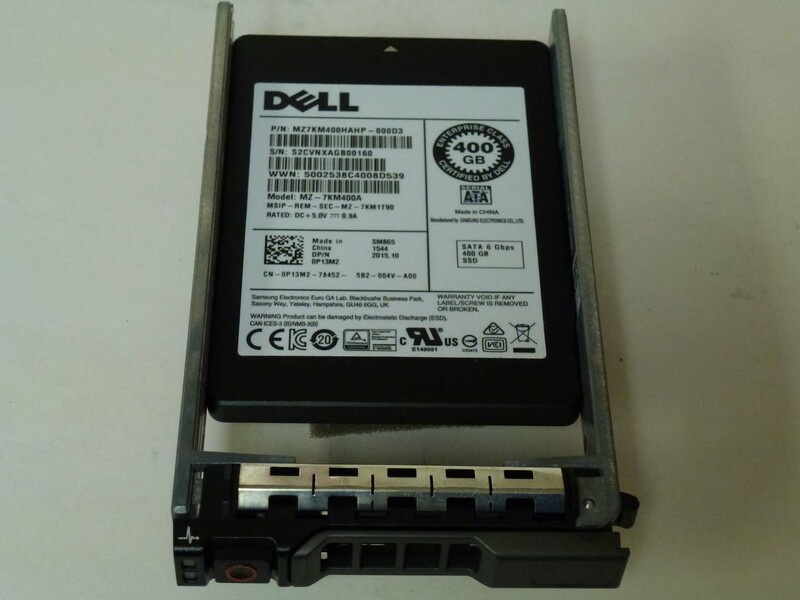 Dell - T3177 DELL - 400GB 7200RPM SATA-II 3.5inch LOW PROFILE(1.0inch) HARD DISK DRIVE FOR DIMENSION 4700C. IN STOCK. SHIP SAME DAY. 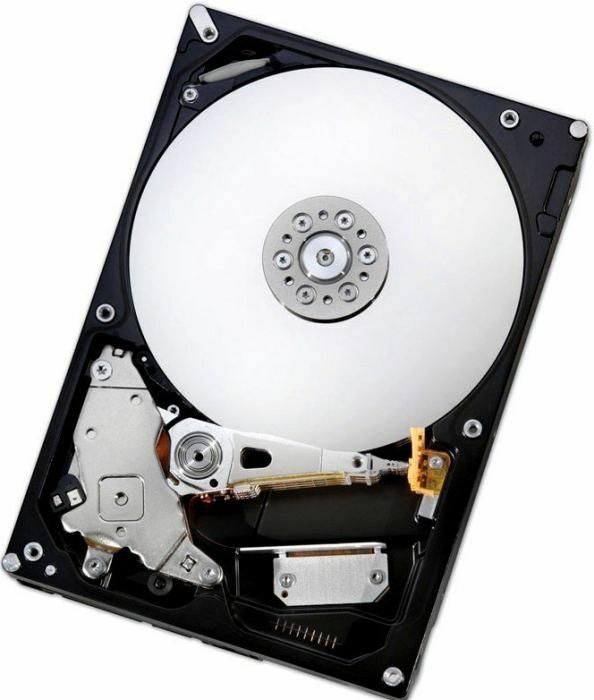 Sun - 540-6364 SUN - 400GB 7200RPM 8MB BUFFER 3.5INCH SATA-150 HARD DISK DRIVE WITH TRAY (540-6364).IN STOCK.SHIPS SAME DAY. Sun - XTA-ST1NC-400G7K SUN - 400GB 7200RPM 8MB BUFFER 3.5INCH SATA-150 HARD DISK DRIVE WITH TRAY (XTA-ST1NC-400G7K). IN STOCK.SHIPS SAME DAY. Dell - 09TVP 09TVP Dell 400GB Mlc SATA 6GBPS 1.8Inch Enterprise Class DC S3610 Series Solid State Drive. New Bulk Pack. Intel - SSDSC1BG400G4R SSDSC1BG400G4R Intel 400GB Mlc SATA 6GBPS 1.8Inch Enterprise Class DC S3610 Series Solid State Drive. New Bulk Pack. Hewlett Packard - 375799-002 375799-002 HP 400GB 7.2K RPM From Factor 3.5inches SATA 150 Hard Drive. New Bulk Pack. 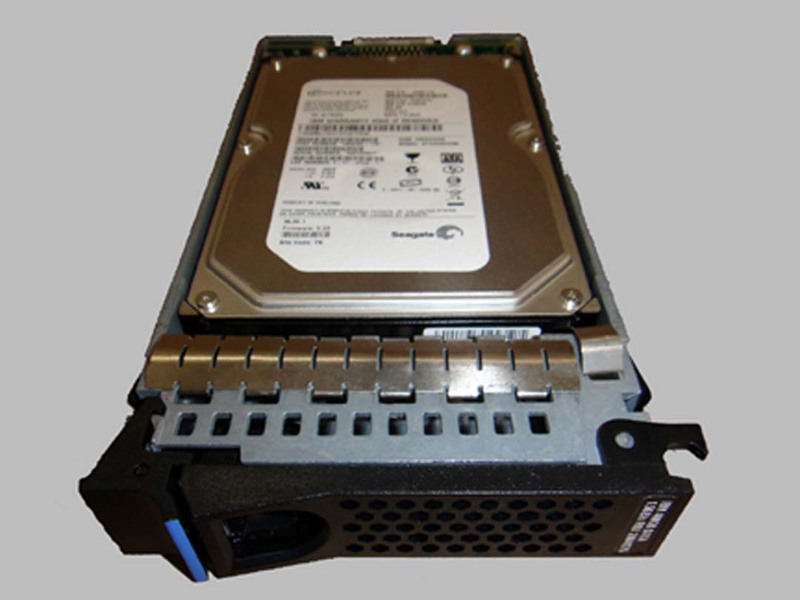 Hewlett Packard - 376273-001 376273-001 HP 400GB 7.2K RPM From Factor 3.5inches SATA Hard Drive. New Bulk Pack. Hewlett Packard - 636611-B21 636611-B21 HP 400GB MLC SATA 3Gbps Hot Swap Enterprise Mainstream 3.5inch Internal Solid State Drive. New Bulk Pack. 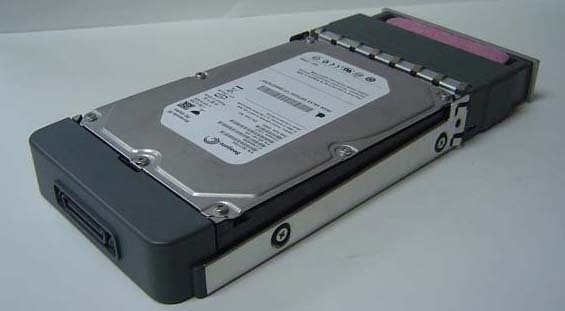 IBM - 39M4570 39M4570 IBM 400GB 7.2K RPM Form Factor 3.5Inches SATA-150 Hard Drive. New Bulk Pack.